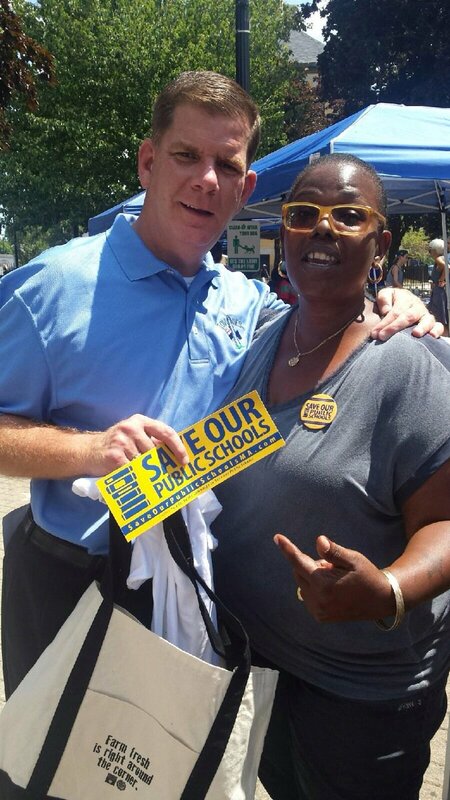 Boston Mayor Marty Walsh with parent organizer Malikka Williams. We were motoring around when the ad came on. It was one of those golden fall afternoons we’ve had a string of lately, the foliage suspended in a globally-warmed cocoon of brilliance, and suddenly there he was: Boston’s mayor Marty Walsh. Or as he pronounces it, *maeh. * Even with the mostly missing ‘r’s,’ his message was unmistakable: Question 2, the proposal to lift the state’s cap on charter schools, was deeply misguided. And he didn’t just mean bad for Boston, he meant bad for the whole state, making an already broken school funding system worse. *What were they thinking by going to the ballot? * my husband asked. Actually he said *What were they ! @#$% thinking? * And for once I didn’t chide him for swearing. I could give you a long list of reasons why Question 2 went down in flames. It was a complicated policy question that should never have made it onto the ballot. Yes on 2, despite outspending the ‘no’ camp 2-1 couldn’t find a message that worked, and was never able to counter the single argument that most resonated with voters against charter schools: they take money away from public schools and the kids who attend them. #NoOn2 also tapped into genuinely viral energy. The coalition extended well beyond the teachers unions that funded it, growing to include members of all kinds of unions, as well as social justice and civil rights groups, who fanned out across the state every weekend. By election day, the sprawling network of mostly volunteer canvassers had made contact with more than 1.5 million voters. There we see a coherent three-part strategy, beginning with a legislative move to amend the Bay State’s charter law. 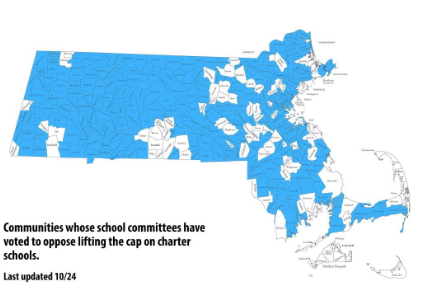 In case lawmakers balk, a ballot initiative is in the works, as is a legal move involving a prominent Boston firm that has filed a class-action suit to lift the charter cap, arguing that it unconstitutionally denies children access to an adequate education. As part of all three efforts, Families for Excellent Schools is organizing parents and other charter supporters to participate in an advocacy campaign. Tellingly, Finn’s explication of Team Charter’s strategerizing is in a section entitled *From Grass Tops to Grass Roots. * A model of the *new parent power,* Families for Excellent Schools has successfully organized parents in NYC, most of whom already send their kids to charter schools, to demand more and more charter schools. Here they are marching across the Brooklyn Bridge, 30K strong. Now here they are, arriving in Albany by the busload. Theirs is a powerful spectacle, until one looks too closely and notices that the guys on the walkie talkies are all white and that the parents were told that they had to attend, or that the mayor wants to close their schools, and that their own charter schools had to be closed for the day in order to create the powerful spectacle. In the spring of 2014, Peyser, who sat on the national board of Families for Excellent Schools, was imploring Boston’s charter schools to *take control of their own destiny by becoming a more potent political force. * By that summer, FES had a Boston offshoot, *seeded* thanks to the largesse of the New Schools Venture Fund, where Peyser worked, and the same Republican philanthropists who would get the #YesOn2MA ball rolling. And yet FES was an expensive flop from the start. What went so wrong? Much of the blame can be laid at the feet of the group’s astonishing odiosity. Like refusing to say what they were about. 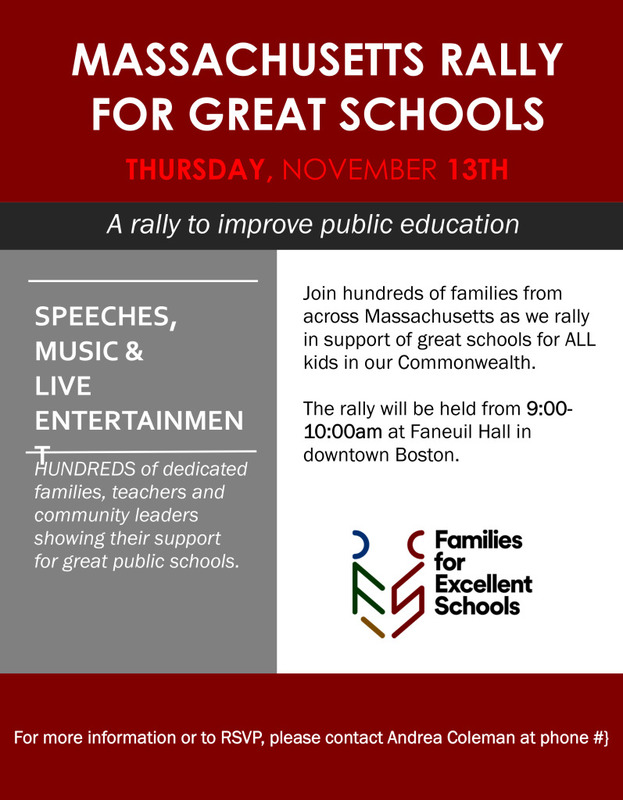 Their first big event, a lavishly choreographed rally at Boston’s Faneuil Hall, made no mention of charter schools. Then there was *Unify Boston,* a months-long petition drive in which organizers gathered signatures from parents who wanted great neighborhood schools. When group leaders informed staff members that the actual goal of the campaign was to lift the charter cap, a revolt broke out. *It’s like they think people of color are stupid,* said one former FES organizer. In the end, charter advocates couldn’t marshal a parent army for the same reason that has undone one ambitious #edreform vision after another: their logic model was flawed. *People aren’t against charter schools,* Yawu Miller, the managing editor of the Bay State Banner, Boston’s African American newspaper, told me when I interviewed him earlier this fall. *But they don’t want to see the kind of expansion that’s being proposed now. They think there’s a threat to the district school system if that happens. * As Miller pointed out, his son is on the waitlist for several charter schools. So is Save Our Schools parent organizer Malikka Williams. In fact, it turns out that almost everyone in Boston is on some kind of waitlist. Calculate the number of students who are waiting for in-demand Boston district schools the same way that charters do and you end up with a number in excess of 20,000. 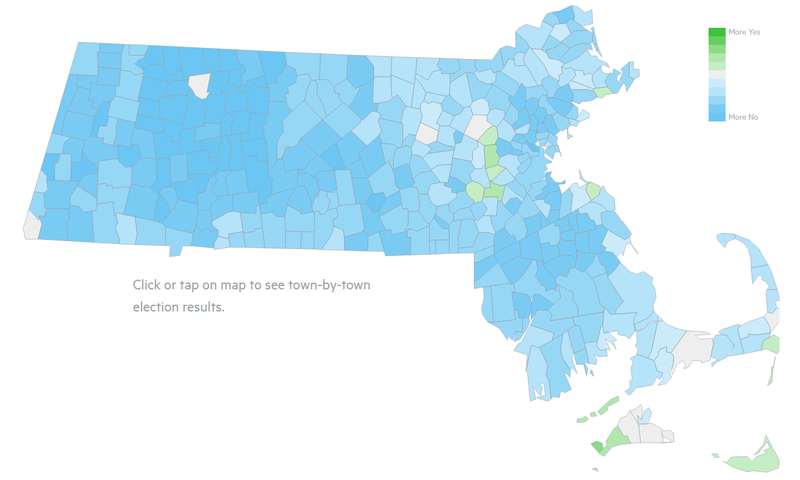 Do you know why hating on the Yankees is such a popular pastime in Massachusetts? Because they’re regarded as rich, entitled assholes from New York. Which is why the decision to rely so heavily on well, rich, entitled assholes from New York to fund the Yes on 2 campaign puzzles one so. By the final tally before the election, Families for Excellent Schools, reduced to serving as a conduit for the offerings of rich Wall Street-ers, had gifted more than $17 million to the cause. Former Mayor Michael Bloomberg, meanwhile, kicked in an additional $250,000 on top of the $240,000 he contributed back in August. To average voters, unfamiliar with the reform trope of the billionaire changemaker, the outsized role being played by rich New Yorkers was utterly incomprehensible. It’s not enough to field the richest baseball team money can buy, now they want our schools too? By October it was clear that the Question 2 ship was beginning to list. The original claim, debuted in a massive ad buy during the Olympics, that expanding charter schools would actually increase funding for public education, had failed to resonate with voters, and so it was off to the next argument. It turned out that charter schools didn’t *drain* or *siphon* money away from district schools as team #NoOn2 kept insisting—and here was a press release about a study to prove it. But once again, Question 2’s proponents, including editorial page editors at the Boston Globe, which ran a prominent *no draining, no siphoning* editorial, ran into the buzzsaw of a whole bunch of people all over the state who actually knew stuff. Those school committees, which just would not stop passing resolutions against the ballot question, could tell you exactly how much money their city or town was spending on charter schools. The Mayor of Northampton, which is about as far from Boston as you can get, pointed out that his town spends more to send kids to the specialized charter schools favored by affluent parents—a subspecies never mentioned during the campaign—than on an entire elementary school. Meanwhile, cities that are already home to the largest number of charters and would be most affected by the passage of Question 2, began tallying how much charters were already costing them. Lowell, for example, has seen a drastic spike in its charter school bill and now spends more than $16 million on a parallel school system, money that’s being diverted away from *extras,* like paving the roads in Mill City. The charter waitlist in Lowell, by the way, is dwarfed by the number of kids waiting to get into district schools. It was starting to seem like there was not a single person in the entire state who couldn’t make the case for why Question 2 was bad, bad, bad. There was the CFO for the city of Boston, laying out in PowerPointed detail what adding just three charter schools per year was going to do to the municipal budget. There was the NAACP’s Michael Curry, calling out public officials for walking away from public systems and wondering where all of these rich white guys who were suddenly so interested in investing in minority students in Boston, had been all of his life. There was a school committee member from a town you had to look up on a map, who turned out to know everything about the state’s complicated charter reimbursement formula. Of course #LiftTheCap was not spox-less. Representing the *yes* side was the likes of Governor Baker’s own communications consultant, who, when she wasn’t explaining that Question 2 would mean more money for public education, or that charter schools absolutely do not drain or siphon money from district schools, was repping another social justice cause: Baker’s crusade to privatize the T. Then there was Marty Walz (not to be confused with Marty Walsh), a former state rep known for her, um, lawyerly style, which is a very polite way of saying that she was quite possibly the least appropriate spokesperson for a movement ostensibly about parents of color whom one could find. 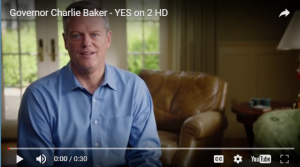 The final ad that Baker recorded for Yes on 2 featured him at his Swampscott, MA home, delivering the reassuring message that voting yes would only affect nine cities. As for the rest of ya’ll, there was great news: if you liked your school, you could keep it. Baker took some heat for choosing to deliver said message in front of a leather lounger, but could you really blame him? What if he needed to sit down mid way through the spot? It had to be exhausting keeping up with the ever-changing arguments. In fact, even the people who’d propelled the question onto the ballot now seemed to be confused about what it actually said. Besides, why was everyone so quick to assume that by *twelve schools a year* till perpetuity, proponents actually meant *twelve schools a year* till perpetuity? And whose idea had it been to let the whole state vote on this anyway? It’s hard to imagine now, but there was a time when Charlie Baker saw the cause of charter expansion as a vehicle for winning political support in Democratic cities. In addition to winning over minority voters among whom charters are popular, he was also hoping to pick off middle class democrats who see charter schools as the new Catholic schools, but at public school prices. That strategy failed utterly. The cities rejected Question 2 by wide margins, while the voters who said *yes* were those who reside in leafy suburbs and a few yacht-clubbed hamlets—the highest income areas in the state. In other words, the exact opposite of the narrative that was pushed relentlessly by charter advocates and *journalists* like Richard Whitmire, who served up such tripe as this story: *’It’s Heartbreaking’: Boston Parents Ask Why Their Wealthy Neighbors Are Fighting Charter Schools. * #YesOn2MA hammered the urban/suburban narrative to explain their looming failure, and in the end managed to get even that wrong. The Boston Globe, in its post-vote wrap up, pronounced Question 2’s defeat as a *victory for teachers unions. * But that’s just a lazy script. The vote, and the campaign leading up to it, represents a political realignment. In a state that has been trending steadily more progressive, there is no progressive case to be made in favor of expanding opportunities for a small number of kids, while leaving the rest behind. People outside of Massachusetts were stunned when Elizabeth Warren announced that she was #NoOn2, but they shouldn’t have been. Question 2 had little support among democrats and virtually none at all among progressives. In fact, it was only ever officially endorsed by four organizations: Democrats for Education Reform, and three business groups, one of which seeks to eliminate the inheritance tax. DFER and other pro-charter groups were quick to issue statements to the effect of *we’ll be back*—talking-pointed bravado about zip codes and moral stains on the Commonwealth that conveyed nothing so much as a failure to recognize the magnitude of their loss. It wasn’t just the lopsided vote, by the way. That class-action lawsuit filed by various white shoe Boston law firms against the charter cap was decisively dismissed as well, the judge rejecting the very idea of an individual right to choose a particular kind of school. All of the momentum is on the other side now, an enormous statewide coalition that will rally behind fixing a *broken school funding system*—work that was begun in the Senate last year. But the problem isn’t just funding, it’s the profoundly irrational relationship between charter schools, set up in communities that have no say over them, and the district schools with which they compete for students and resources. Let’s rethink that too. 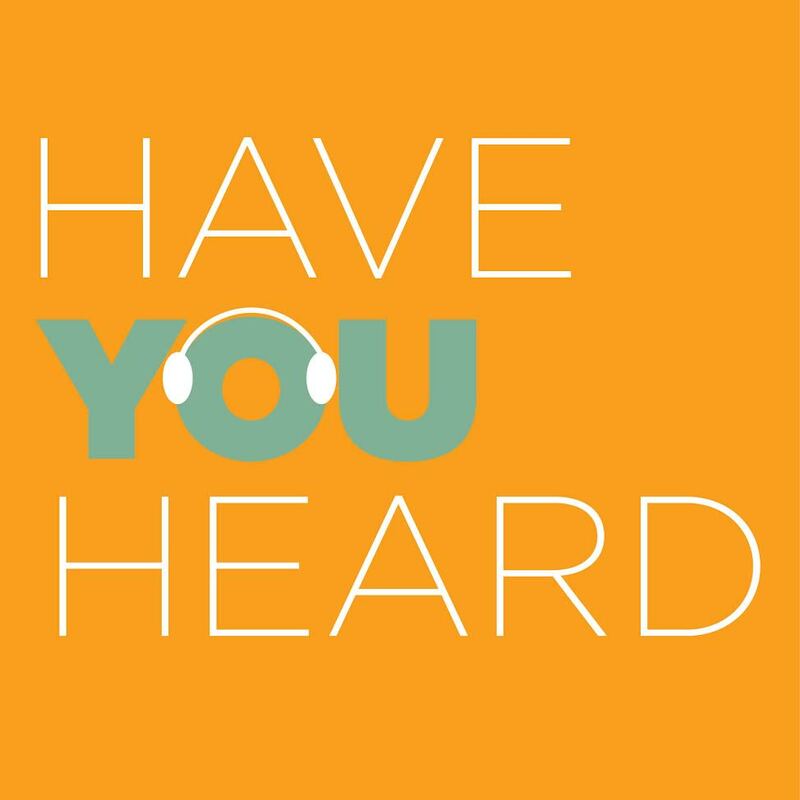 Send tips and comments to jennifer@haveyouheardblog.com. I had an interesting email exchange with a former coworker who donated big bucks to the Yes on 2 effort. He was laboring under many false assumptions including the assumption that urban minority parents wanted more charter schools. I don’t know how the turnout broke down across cities by demographic groups, but the overall No on 2 votes indicate otherwise. I also told him that I am a Boston Public Schools parent who is against lifting the charter cap. He assumed that my kids must attend a Level 1 or 2 school because how could I tolerate anything less? I explained that my kids attended Level 3 schools for elementary, but that the quality of a school goes far beyond its MCAS test rating. Even donors who think they are well-informed really do not have a sense of what it is like in an urban public school system. They assume they are “saving the children stuck in failing schools” and they have a Messiah complex. I’m really so sick of this, despite their good intentions. Why are foundations, newspapers and donors exercising such a large amount of control over urban public schools? It’s up to the educators, the parents and school committees. I’ve really had it with saviors swooping in with their M.Eds. and their millions. Let people who live here figure it out. Thanks for your writing. One of my most interesting convos of late was with a former charter teacher who for reasons that I can’t go into has an in with the very big-bucked charter supporters that you describe. The teacher is making it their mission to educate said on what they are missing. I’m happy to lend my support to this urgent cause. Also I enjoy the sorts of things that rich people eat and drink so am eager to tag along! Ah, the snark! I do so enjoy the snark! “Much of the blame can be laid at the feet of the group’s astonishing odiosity.” So true – makes one think of The Gnat and Walzing Matilda! ” The cities rejected Question 2 by wide margins, while the voters who said *yes* were those who reside in leafy suburbs and a few yacht-clubbed hamlets—the highest income areas in the state.” It raises the question of how many of these denizens are actually employed by NY hedge funds, n’est-ce pas? Sweet Caroline! So good, so good! Thanks, Edu, for all you do to make us laugh through our tears, appreciating one of the few positive outcomes of election night. When the wealthy want it, its tends to be bad for the majority. Thanks for this very important article. The corporate shills at the BOSTON GLOBE should be ashamed of their shoddy reporting and racist advocacy of charters. Money talks, especially in the media. Chicago community groups put th question of charter expansion on the ballot in a number of communities of color Tuesday. Charter expansion went down to defeat in every one, often by huge margins. It helps that in Chicago and Massachusetts, we have progressive women running teacher unions who know the value of building relationships with parent and. Immunity organizations! Madeline – has anyone covered this yet? I’d love to know more. ps: miss you! I am wondering if there are two reasons the suburbanites in that “green wall” on the vote map might have for supporting charter expansion. One might be to assuage their white guilt over abandoning “inner city” kids to the ravages of “failing, crumbling, inner city schools.” The other might be to provide an “inner city” “choice” to satisfy the pent-up “inner city” demand for quality education, which might start pushing for, say, regional schools systems allowing “inner city” kids to “choose” schools in their leafy towns as their “choice.” Like METCO but unlimited by the receiving districts, and with the possible added risk of having to send their own kids into the “inner city.” Just wondering. –so they said. The three charter sympathizers on the committee might provide a more credible explanation, since 200 other very busy school committees did find the time. Our Brookline Board of Selectmen, however, were unanimous in voting No, and the town voters followed their lead with a 63% vote. Any strategic thinking that anyone may have to offer would be of considerable interest in respect to how best to preserve at least that level of such funding for public charter and district schools. Hey – this is where you’re supposed to be making the rest of us feel better by pointing out that we won’t actually need all of that money because charters can produce superior results for less! There must be SOMETHING you can link to – an EdNext study, maybe a Fordham *think* piece. I’m just teasing, obvi, but it is going to be interesting to see how thought leaders, including our very own dynamic duo of Messrs. Peyser and Chester, who have been spox for the case that money doesn’t matter, will pivot if there’s is a question of preserving federal funding, as you describe. I’m looking forward to a great many editorials about *tough choice* and *right sizing,* just with different titles! Without any need at all for pivoting, I’d hope and expect to see sensible folks like Chester and Berkshire, Walz and Walsh, Rosenberg and DeLeo, Peisch and Chang-Diaz, Campbell and Jackson all get together and strive to figure out a creative way to preserve such funding. Marty Walz was my favorite of the Yes on 2 presenters because she would repeatedly go off message. Like “charters aren’t for everyone” or “we’ll target the towns that vote yes for charters”. On the other hand Tito Jackson is an excellent advocate. I spent a chunk of election day at polling place in a Springfield Housing Authority complex – a 90%+ Latino area. When myself and another No on 2 volunteer arrived, there were a dozen people who were already working the site for other causes. They came up immediately and asked for No on 2 literature and signs they could have – they had already been talking to voters about voting no, but needed materials. For the time that we were there, I think I was maybe the 6th best advocate available for No on site. This is one of my fave Q2 reports from a polling station. Here is another, a few details stripped away as its supplier didn’t give me permission to identify them. S/he too is a Marty Walz fan! *Spent half the day outside [polling place] and it was so good to turn around some voters who may have been on the fence. To clarify, “they” in my quote refers to charter-boosters. I too am looking at state level results for some bright spots among the dark national picture. There is going to be a lot to push back against with the next DOEd as well. The fact that school reformers might now sell school choice to constituents through the suggestion that somehow we, as a nation, might go back to the 1950s, convincing “middle class democrats who see charter schools as the new Catholic schools, but at public school prices” is an eerie echo of the same message being offered by Trump: Let’s all put our heads in the sand and simply NOT DEAL with the major problems associated to 2016. Before the vote my son and I agreed this vote would show what percentage of people in the state were stupid. I am glad it is under 40%.